NHL All-Star Game, Skills Competition in Columbus will dazzle thanks to high-tech GoPro cameras; Seattle expansion doomed; more news and notes. I know where you're coming from, all you haters. I've been there. For years, I couldn't be bothered with the All-Star Game. No hitting. No pace. No passion. No point. But thanks to some inspired tinkering by the league, I've learned to stop worrying and start loving the All-Star festivities. And you can, too. 1. The Draft (7:30 p.m. EST; NBCSN, SN, TVA): Sure, throwing sticks in a pile at center ice would be chaotic fun, but this genius NHL innovation makes for much better (and longer) TV. You get the conspiracies, the buddy picks and, if we're lucky, a crowd that lets the players know how they really feel. And yeah, there's something to be said for watching a few world-class athletes experience what it's like to be the fat kid in gym class. Even with all the late roster adds, my money's still on Radim Vrbata to go last, by the way. 3. Mic'd-up players in the All-Star Game (5 p.m. EST; NBCSN). I'll admit that the absence of mayhem and malice takes something away from the entertainment value of the contest, but modern technology (GoPros will be used during the game)—and some well-timed chirps—more than make up for it. If the hockey gods are smiling, we'll get another gem like this. Is it too late to add Scott Hartnell to the roster? • And now a reminder that as far as Seattle goes, the NBA is its Jake Ryan and the NHL will always be Farmer Ted. So much for the city's best-laid plans. “I don't see how hoping for [an NBA] team gets a stadium,” the mayor said. It's easy to see why the NHL wants to plant a flag in the Emerald City. It's a proven sports market and the geography is ideal. But at this point, the NHL has three options for Seattle: wait patiently for an NBA team that might never come; find a buyer willing to privately finance a building in an area other than the preferred SoDo location that currently belongs to developer/prospective NBA owner Chris Hansen; or punt. Looks like the league will be taking door No. 3. And that leads it directly to Las Vegas. McDavid was limited to one assist in the contest, a 6-0 win for his Team Orr, but he may have been taking it easy on the other prospects. “I saw where he could’ve taken some shots—showing mercy to us,” opposing coach Don Cherry told the Canadian Press. “I really believe when they got up 4-0 that he let up. I’m not saying he’s Bobby Orr, but Bobby used to do the same thing. When we’d be up 5-1 or something like that, you could see him back off. McDavid looked pretty good." • Of this year's NHL All-Stars, 31 are under the age of 30, with 11 of them under 25. The youngest: Nashville's Filip Forsberg (20), Buffalo's Zemgus Girgensons (21), and Edmonton's Ryan Nugent-Hopkins (21). The game's grand geezer is New Jersey's Patrick Elias (38). • Three All-Stars were chosen in the 2007 NHL Draft that was hosted by Columbus. 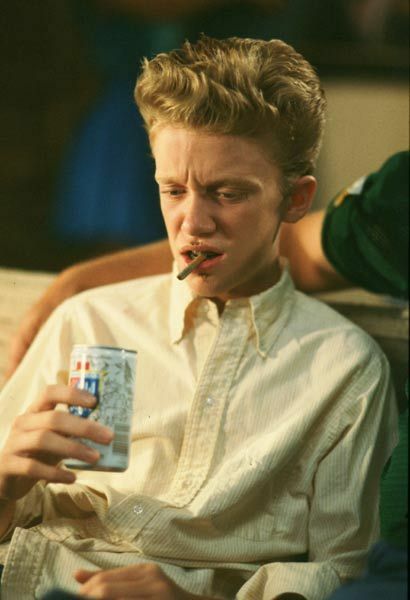 Patrick Kane (No. 1 by the Blackhawks), Jakub Voracek of the Flyers (No. 7 by the Blue Jackets) and Kevin Shattenkirk of the Blues (No. 14 by the Avalanche). • Rangers forward Rick Nash leads all current All-Stars in appearances in the mid-season classic (6). Alex Ovechkin of the Capitals ranks second (5). • Yeah, you've seen it. 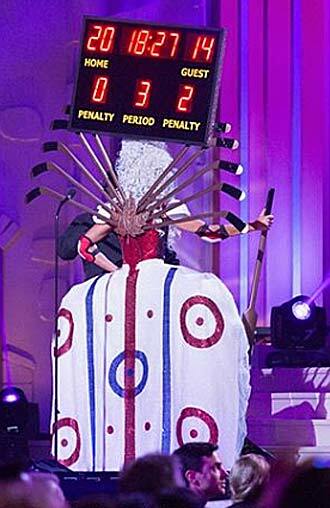 But you can't fully appreciate Miss Canada's insane costume from the Miss Universe pageant until you've seen it from the back. • And then there was that time when Connor McDavid used Bobby Orr's back to sign a jersey for Prime Minister Harper. • If you haven't read it yet, by all means check out SI magazine's story about the time Wayne Gretzky outfoxed the KGB to share a few bottles of Molson Canadian with his Soviet rivals and forge a friendship. One of the best back tales of the Red Army documentary that opens today. • After two brushes with death, one of them on the ice, former goalie Clint Malarchuk has discovered that his troubled life story is now saving lives and inspiring people, many of the combat veterans, to battle depression. • Ace hockey historian Joe Pelletier takes a look back at one of the NHL's most memorable All-Star Games. • Is this the best line in hockey right now?